The print core 0.6 CC Red allows your Ultimaker S5 to work with more materials than ever before. 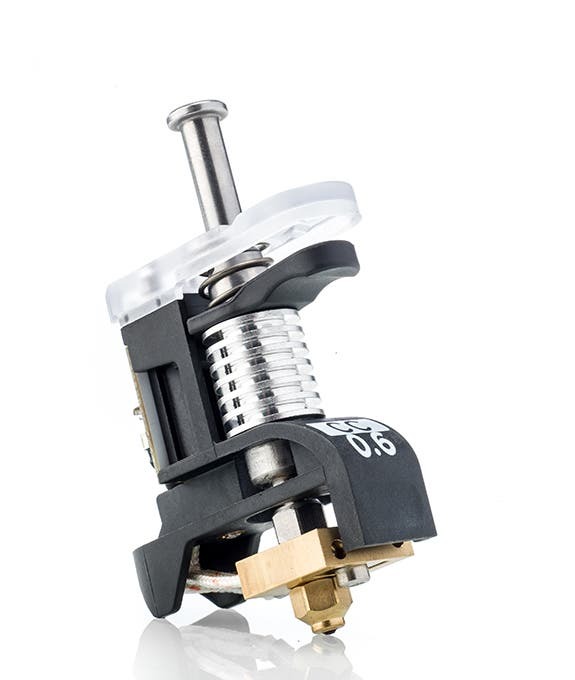 The tough ruby tip allows for printing in abrasive materials and the customised internal geometry reduces clogging. Developed in conjunction with engineers Ander Olsson, the 0.6 CC Red print core expands the Ultimaker S5’s material library to include composites such as plastics imbued with carbon fibre, glass, or ceramics. 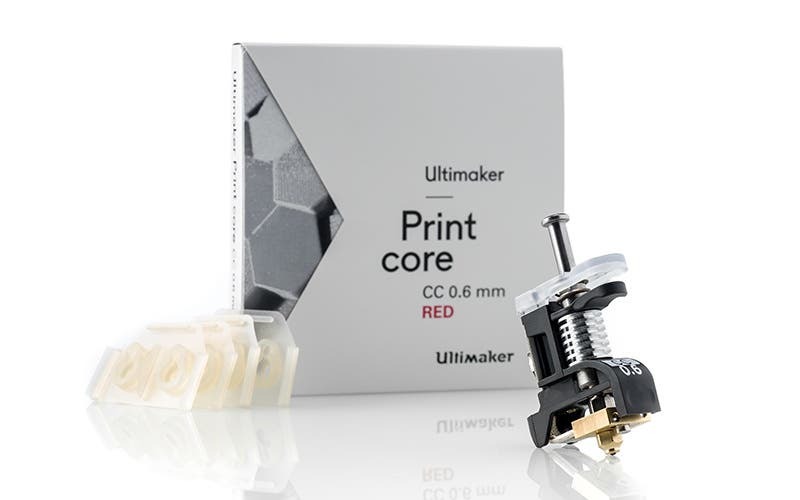 The print core 0.6 CC Red features the same swappable design as the AA and BB print cores, keeping the maximum uptime for your Ultimaker S5, whatever material you are printing in. The print core 0.6 CC Red is compatible with the Ultimaker S5 and comes with four spare Ultimaker S5 nozzle covers. 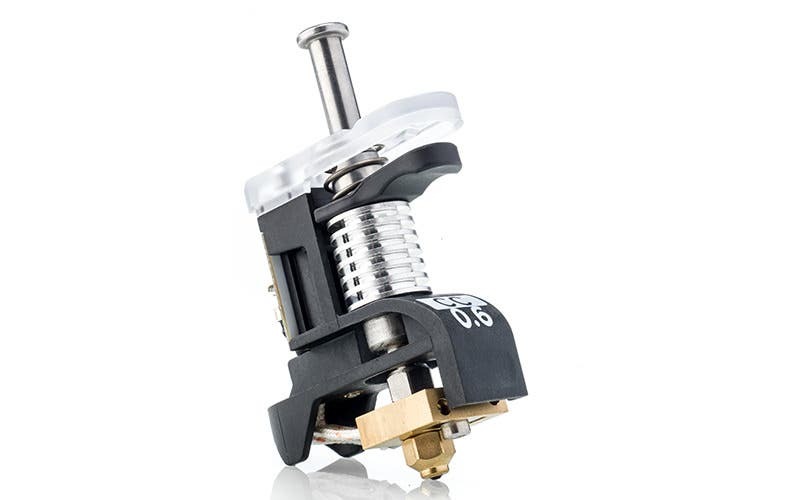 Please be aware that the print core 0.6 CC is not recommended for use with the Ultimaker 3, due to the Ultimaker 3 feeder not being wear-resistant.